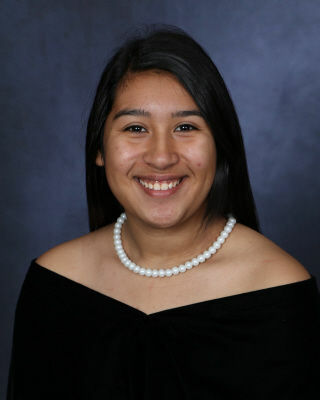 Extracurricular activities and hobbies: I participate in my local FFA Chapter, and have competed in the Rio Grande Valley Livestock show multiple times and obtained placings of 14th and 5th in the market rabbit division. National Honor Society has also been an extracurricular activity that I have participated in and helped me see the world differently due the amount of community service that we do and also the diverse kinds of work that we achieve throughout the year. What are the pros and cons of living in your city? What would you change? Living in the Valley has given me a sense of diversity and has helped me learn about different cultures. There is so much history in the valley that you learn something new every day, we have even created a type of language that only people from the valley will know and that shows how united we are and that we don’t care where you come from we welcome everyone. I would not change anything about the valley we are as welcoming and united as one and that is something I would never change. Where do you see yourself in 10 years? Can you imagine yourself living and working in the Rio Grande Valley? Why or why not? I picture myself graduated from college with an animal science degree and coming back to the valley and working with the USDA t the Pharr Bridge inspecting and checking the goods that are crossing into the area. I also plan to bring back the farms and ranches that were once here in the valley and keep them maintained and running. Agriculture is very important to the valley and we are losing that sense of wildlife because there is no one to maintain it and I want to come back and bring that sense of agriculture back to the Valley. What kind of legacy do you hope to leave on the world? I want to make a difference in people’s lives and make a difference in the valley, and better it for future generations. The valley is so diverse and I strive to keep it that way by working to keep agriculture in the valley’s culture so future generations and even the generations in this time can have options and variety of the type of jobs they want to obtain. I also want to impact the valley in the physical appearance and impact the environment of the valley and make the valley a place where people are happy are to live and be a part of the culture.